As visual media grows in popularity, Pinterest continues to grow as an important marketing and social media tool. Pinterest is great for sharing content tied to external sites, such as your restaurant’s website. It is popular among the millennial generation as half of them use Pinterest at least once a month. 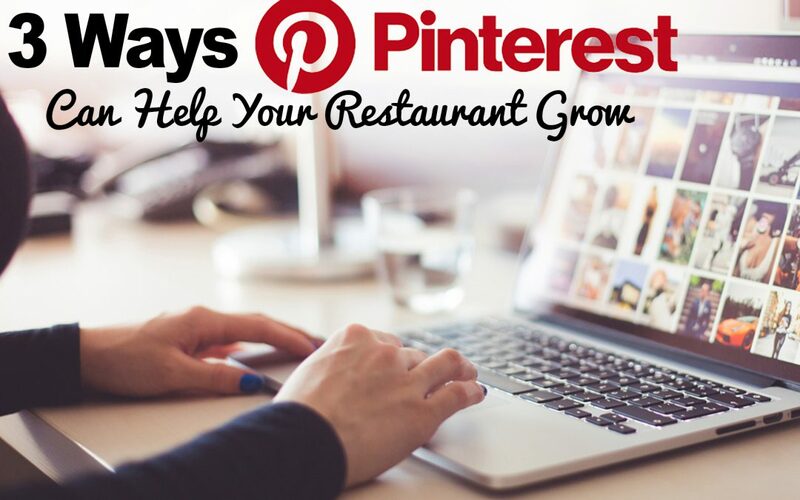 Pinterest can be a great tool to include in your restaurant marketing plan. Here are some quick tips and insights help get you started. The most popular categories to browse in Pinterest are DIY & Craft, Food & Drink, and Home Decor. Over 97% of searches are unbranded, meaning Pinners are open to hearing from brands they haven’t considered before. Pinners are drawn to items from photos that are displayed on their page. This means that you can attract customers to your restaurant by taking and posting beautiful, informative or intriguing photos. . Set aside time to take quality, mouth-watering photos of your menu items to post on Pinterest. You can actually post your images directly to Pinterest from your own website by including a link. Any and all images that you post on Pinterest should direct the Pinner back to your restaurant’s website. More traffic to your site is more brand exposure which in the end, means more business. Your Pinterest efforts don’t stop at just posting on Pinterest. To be fully-integrated with your customers, you will want to promote your Pinterest posts on all of your other social media channels including Facebook, Twitter, Instagram, and LinkedIn. The posts on these channels should include the links to your Pinterest posts along with your restaurant’s website. By having a cohesive and parallel messaging strategy, your brand will stay consistent to your current and potential customers. If you really want to get creative, put aside time to build your Pinterest page by making categorized boards. You could have a board for appetizers, dinner entrees, special menu items, and more!. Doing this will allow customers to quickly view your menu items by categories instead of being overwhelmed with disorganized photos and content. One of the most valuable things about Pinterest is the long shelf life of Pins. The average pin is repinned 11 times. Eighty percent of all pins are repins and it takes a pin 3.5 months to get 50 percent of its engagement. That means a Pin can, on average, live for seven months (compared to Twitter’s seven minutes). Put some thought into how you want your restaurant to be perceived by potential customers. While the content can always be removed, you would rather create content that is there to stay and grow with the Pinners.